It was simply impossible to not include the My Mind's Eye Follow Your Heart "Be Happy" Adorable paper on your scrappy wishlist! I just had to have it!!! I mixed it with another MME Follow Your Heart line, "Be Amazing" and it paired up really well. 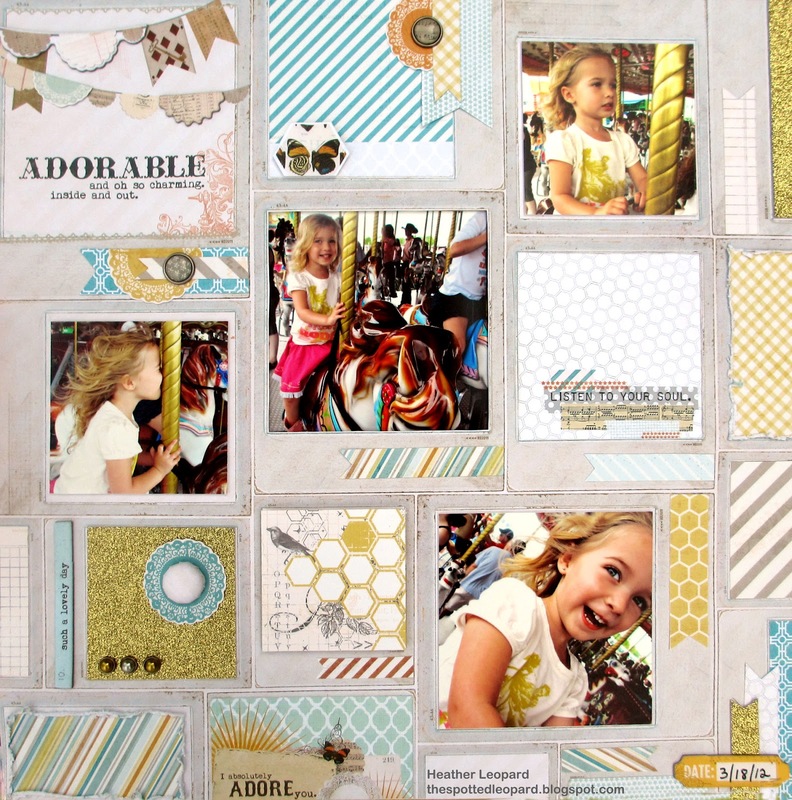 The golds in the Be Amazing collection were perfect for the carousel colors and the "Be Happy" paper with the Instagram picture windows worked awesomely. 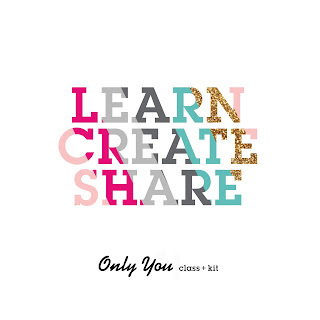 I loved it so much I used it for my A Bit of This & That class in April at Scrapp'n Savvy. Supplies: My Mind's Eye Follow Your Heart "Be Happy" Adorable 12x12 Paper, "Be Amazing" 6x6 designer paper pad, "Be Amazing" Blue Doily 12x12 paper, "Be Amazing" decorative brads, "Be Amazing" chipboard, American Crafts Wow glitter paper in gold, Imaginisce i-top 2.0 and small brad daddy, Bazzill Tape Runner, Zig Black Pen. I wish I could snap more pics of this layout because you can't see all the dimension but it's on display at my LSS. Instead, I'll have to tell you about it - I cut out some of the Instagram windows and popped the photos back behind them. Other windows have coordinating paper or photos popped up over it. Lastly, some of the windows just have paper adhered to them. So, all in all, there are 3 levels of dimension from back to front. Before I go today, I want to thank everyone for helping us celebrate Diana's blogiversary by hopping along with the talented gals I was lucky to be a part of. Thanks to Random.Org, the lucky winner of the Amy Tangerine prize RAK on my hop is KRISTIN (a fellow Texan). Congrats!!! To claim your prize, shoot me an email no later than Tuesday, May 8, 2012 via the About | Contact Me tab at the top of the page. This is BEAUTIFUL Heather! I loveeeeeeeeeee the photos and all the pennants!! And congrats to your winner!! This is gorgeous. I love that paper from that line too. ok so this layout is AMAZING. I love everything about it. Awesome photos, awesome paper choice, awesome embellishments. Simply awesome... Thanks so much for sharing and inspiring me today. Amazing LO! love how you used that paper! This is gorgeous Heather and I love the way you used the MME paper!! She looks like she's having so much fun!! GORGEOUS Heather--I TOTALLY love this!! Totally love this page ..I need to make a road trip out to Scrapp'n Savvy ....and thanks for the awesome prize!!! Great layout. Love how you inserted the photos in the frames. Congrats to your winner! And I love what you did with this background paper. Perfect for the motion in the pictures! Love it! I really really love this...don't know why I didn't see it before now! Great pics too!